Before you hit the road or take to the skies, veterinarian Dr. Katy Nelson has some tips to make your trip go safely and run smoothly. WASHINGTON — ‘Tis the season for beach vacations, camping trips and outdoor adventures, galore. During the summer travel season, many pet owners choose to take their four-legged family members with them on vacation. After all, man’s best friend also makes an excellent travel companion. But before you hit the road or take to the skies, veterinarian Dr. Katy Nelson has some tips to make your trip go safely and run smoothly. 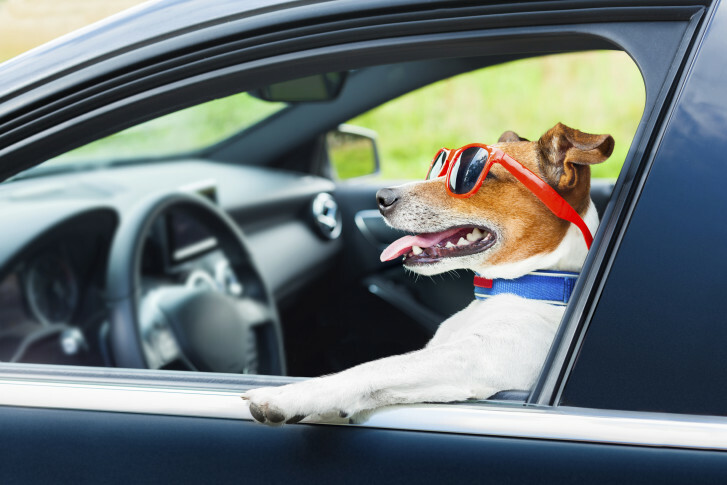 Planning a road trip with your pet? You’ll need to plan ahead, Nelson says. For instance, if your pet gets the least bit car sick just driving around the block, consider talking to your vet about medicines that battle car sickness without sedating your dog or cat. Nelson says there are some great drugs that will calm pets down in the car, without completely knocking them out. Throw a few extra water bottles in the cooler to quench your pet’s thirst on the journey. “You don’t want to over-hydrate them, but you definitely don’t want them dehydrated,” Nelson says. Keep in mind that you’ll also need to stop a few times so that your dog can go to the bathroom. Nelson says taking a break every few hours is just fine — plus, it will give you the chance to stretch your legs. Traveling with a cat? Nelson says there are some great travel litter boxes on the market. And most importantly, buckle up — yes, that goes for your pet too. “It’s worse than texting, if you’ve got this little dog licking your face while you’re trying to drive down the road,” Nelson says. Plus, having an unrestrained pet in the car can be dangerous in the instance of an accident. Nelson says statistics show that a 60-pound dog can turn into a 1,500-pound projectile if it’s loose in the car at the time of an accident. Nelson doesn’t recommend flying with a pet unless the animal can fit under the seat, and therefore, ride in the cabin with its owner. “If you’re moving somewhere, then that’s fine, but if you’re going to take your 60-pound dog on a trip with you, remember that cargo holds underneath planes are not designed to transport live animals,” Nelson says. And don’t forget to have your pet microchipped and to update the information with your correct address and phone number before heading away from home, Nelson says.